San Diego, CA – March 30, 2017 – AltexSoft, a Technology & Solution Consulting company, became a finalist for the European IT & Software Excellence Awards 2017 in the category Solution providers (nomination Vertical Solution of the Year) for the work on building an online travel booking solution for Fareboom.com. Fareboom is an online travel agency in California. Its core product is a complex air booking engine that covers 30 million private airfares and 70 million fares from outside vendors to provide its users with lower prices and available seats. The AltexSoft development team upgraded the search algorithm and software architecture, minimized the risks of interface fails, and improved the code management process. The team also designed the machine learning algorithms that power fare prediction. The cooperation is ongoing. 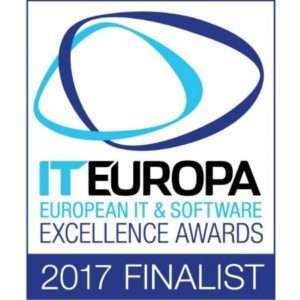 Selection criteria for the finalist of IT Europa’s award was a high level of client’s needs and issues understanding, represented in the developed product for the Vertical Solution of the Year nomination. IT Europa discovers and awards the best solutions for customer products and projects among European VARs, MSPs, and ISVs. This is the ninth annual pan-European event, highlighting excellence in IT industry. In 2017, event’s administration received more than 500 applications.